Septem-purr Savings – Adult Cat Adoptions $50! – A.A.R.F. – All About Rescue and Fixin' Inc.
Septem-purr Savings – Adult Cat Adoptions $50! 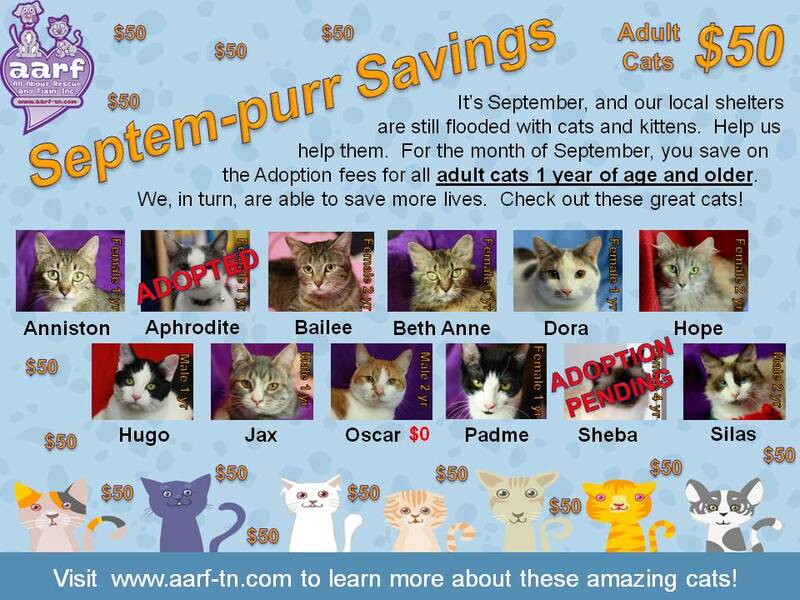 Septem-purr Savings – Adult Cat Adoptions $50! It’s September, and our local shelters are still flooded with cats and kittens. Help us help them. For the month of September, you save on the Adoption fees for all adult cats 1 year of age and older. We, in turn, are able to save more lives. 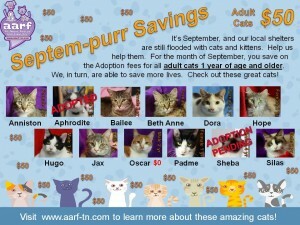 Visit http://aarf-tn.com/adopt/adoptable-cats/ to learn more about these amazing cats!